RETRO KIMMER'S BLOG: POLAROID SOCIAL-MATIC TOO LITTLE TOO LATE? 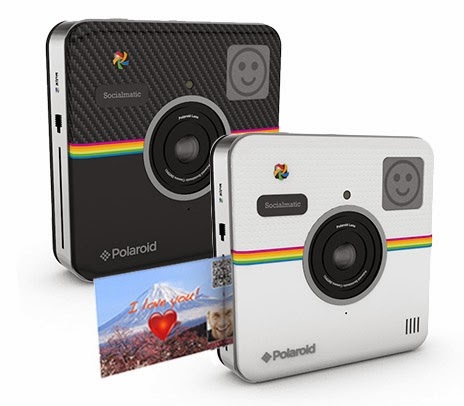 The Polaroid Social-Matic camers is coming out fall of 2014. This camera features all the same things that smart phones already have except it has a better resolution (14 megapixels) and prints instant photo/stickers. You can edit and add clipart/captions before sharing online which could be fun. The problem is ..it is another device to carry...put down your smart phone and grab the social-matic? Prying the smart phone out of a user's hands is mostly impossible.. The only way that I can see this camera having any impact is if it was a smart phone...but you already have one of those.